So the final round of the Open Championship has arrived and England’s Lee Westwood is leading by 2 shots from Hunter Mahan and Tiger Woods. My top 5 tips (https://bm23sportsreviews.wordpress.com/2013/07/14/5-tips-for-the-open-championship/) and my update (https://bm23sportsreviews.wordpress.com/2013/07/20/5-tips-for-the-open-championship-update/) have left me with 4 players in contention (Tiger Woods, Henrik Stenson, Francesco Molinari and Brandt Snedeker). As is the way of golf the complexion of the tournament, and those who are in contention changes from round to round. You can find some of the best value by betting on the 4th round of a tournament, because realistically there are fewer people who could potentially win the tournament. I commented in my update that the way Muirfield is playing this week plays perfectly into the hands of someone out with the leading groups posting a score and backing into the championship. With this in mind I believe that anyone who is at +3 or better is potentially in with a chance if they shoot a good score, don’t forget that +3 is currently T-11th and 6 shots off the lead (4 off of 2nd). Muirfield is playing harder as the day goes along and that plays further into the shoot a score early and back into it theory. Look at Hunter Mahan’s 3rd round, where he shot a 68 under no real pressure and has put him thoroughly into contention (T-2nd). -1/-2 could be a winning score and that is what the players over par should be looking to finish on to have a chance of winning. Mickelson currently sits at +2 (T-9th) and if there is one man to go out tomorrow and shoot a low score with some aggressive play it is Phil Mickelson. Mickelson is a man on form; he won the Scottish Open the week prior to this week and finished 2nd in the US Open earlier this year. Mickelson does however have a tendency to be too aggressive when playing from behind, and could blow it by taking himself totally out of play. Before the tournament started I didn’t think Mickelson had much of a chance but it is definitely not beyond Mickelson shooting a 68 (-3) or better and putting himself very much in contention. At 20/1 Mickelson is good value at this stage of the tournament. I wrote about Molinari yesterday as someone worth betting on for the weekend, and although he shot a 72, he hasn’t taken himself out of contention. Molinari currently sits at +2 and in T-9th (Molinari & Mickelson the group to watch as potential threats from behind tomorrow) and has the game that is required to play well at this course. Molinari’s rounds have been a 69, 74 and 72 and he may not have the game to post the amount of birdies he requires to put in a potential threat to win. I liked Molinari before the tournament and he has put himself in an outside contention to win. If you consider that Mickelson is also at +2 yet his odds are 20/1, whereas Molinari’s are 66/1 which is tremendous value for position. My personal pick pre-tournament had a stinker of a second round (79) but shot 69 in both the 1st and 3rd rounds. Snedeker is sitting at +3 (T-11th) maybe a little too far back as I believe that at +3 he will need to score at worst a 67 (-4) to have a serious of chance of winning (he could easily place). Snedeker has the game to shoot a low score though and is generally an excellent putter which is so important round Muirfield. Snedeker is quite far back and the 79 he shot in the 2nd round is still fresh in the mind, it is unclear whether he will have a good round (like in the 1st or 3rd rounds) or a bad one (like in the 2nd). There is no room for error, even an ok round is not good enough to get the job done for Snedeker, if he is to compete he must score well. Sitting at 66/1 (really showing the Molinari value) Sned’s is a good choice for someone who could make an impact on the last day with an early charge. He certainly has the game to do so and is far enough back to take the issue of him bottling it out of the picture, but he must have a good day. There it is three players to take a look at if you are thinking of picking a winner for the Open and are looking for some value. Of the three I think Mickelson has the best chance but Molinari is definitely the better value. For the tournament as a whole I do believe that Tiger Woods is still the most likely to win. He is sitting pretty at -1 only 2 shots off of Westwood, although he has never come from behind to win a major. I’d really like to see Westwood win because he does deserve it but I get the feeling that he will bottle it, as for Hunter Mahan just look at any of his big moments in his career (Ryder Cup 2010, US Open 2013) he is a perennial bottler, he will not win the Open. I am sure that someone from the pack will shoot a good score, there are a lot of good players in the pack and they are all capable of doing so. Overall I like Woods to win and you can get 5/2 for him to do so, which to be honest are not bad odds for Woods at this stage of the tournament. So let me know what you think and how you think the tournament is going? All comments are appreciated and enjoy the last day of The Open. 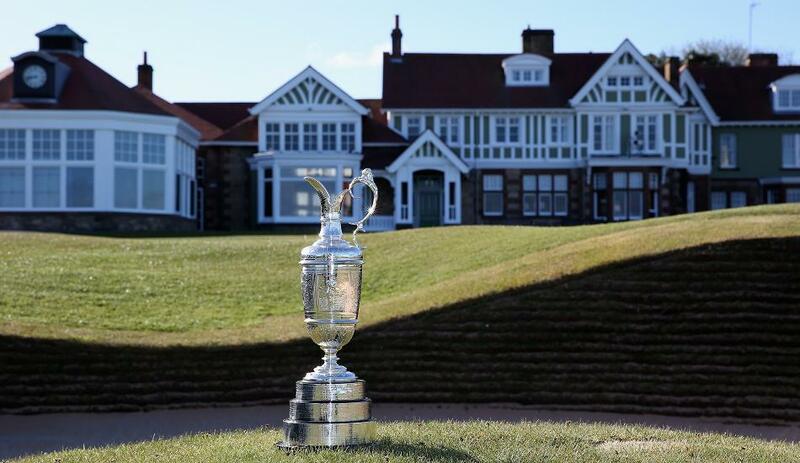 We are half way through the Open Championship at Muirfield and My Top 5 Tips (https://bm23sportsreviews.wordpress.com/2013/07/14/5-tips-for-the-open-championship/) aren’t looking too bad. Tiger Woods (8/1 pre-tournament) is sitting at -2 just 1 place off the lead (currently held by Miguel Angel Jimenez), Martin Laird (100/1 pre-tournament) is at -1 in T-6th, Brandt Snedeker ( 35/1 pre-tournament) had a stinker of a second round and is well off the pace at +5 in T-39th, Jason Dufner (66/1 pre-tournament) also had a stinker of a second round and is at +7 in T-58 and the less that is said about Luke Donald’s abysmal performance over the previous days the better (missed the cut). 4 out of 5 making the cut isn’t bad and neither is 2 out of 5 seriously contending going into the weekend but I feel it is worth looking at potential other winners of the Open based on how they’ve played this weekend and their odds at the bookies (Bet365 live odds). Before I begin I would like to say that I believe that those who are going out late in the day are at a massive disadvantage to those who are playing earlier. The scoring in the afternoon has been on average around 2 shots more than in the morning and this could very well allow someone who has just snuck inside the cut to post a -3/-4 could very well put themselves in contention on the final day. So don’t look past guys like Branden Grace +3 (Scottish Open runner-up and 100/1), Brandt Snedeker +5 (200/1) and Matt Kuchar +5 (150/1). I’m not saying I think any of them have a chance but the way the course is playing a guy who shoots a good clubhouse score on the final day could quite easily back into it when the leaders are playing the tricky back 9. Stenson this weekend has been mr. consistency, he has garnered barely any television time and somehow finds himself in the final group for tomorrow’s 3rd round. Stenson currently sits at -2 after consecutive 70’s (course par 71) and is the only man to have been able to post consecutive below par rounds this week. Stenson also had a very stong showing at this year’s Scottish Open (links competition held the week before the Open) finishing 3rd. The major concern about Stenson is that he has never won a major and there is a major question about his bottle. These questions were increased further based on the fact that he shot a 73 in the final round of the Scottish Open after he had been in the lead after three rounds. Honestly I didn’t think that Stenson had a chance this week (especially after the Scottish Open) but he has proven me wrong. His odds are 9/1 and he is currently Tied for 2nd it is fantastic odds for his position in the field and his play over the weekend. One of my 5 picks before the start of the tournament has seen his odds plummet from 100/1 to 22/1. As I said in my original post Laird had a good Scottish Open last week and has followed it up this week with a great showing at the Open currently sitting at -1 and T-5th. Martin Laird also has the credit of having the most birdies so far at this year’s Open (had a handful of bogey’s as well seeing as he is only -1). Like most people in the field Laird has never won a major (or even been in a position to win a major) and there will of course be questions of his bottle but the questions over Laird’s previous play at the Open can be discarded because he has played very solidly this week. To receive 22/1 for a man who has played very consistently over the week so far and has sunk many important long birdie and par puts is again a good offer. A man who I was considering placing in my Top 5 picks at the start of the tournament as opposed to Luke Donald (to be fair I also considered Matteo Manassero) has the perfect game for this golf course. Molinari is all about hitting fairways and hitting greens and as has been evident from the prior two days of golf, which is what Muirfield is all about. At +1 Molinari is sitting nicely in T-11th, out of the limelight and a good number of groups behind the Tiger chaos. Molinari hit a 69 on the first day and a 74 on the second (with only a bogey and a double-bogey on the card [no birdies]) showing incredibly consistent golf. Again Molinari has never won a major and that is a concern, but probably the bigger concern is the fact that in his second round he scored no birdies at all (looks a lot like my cards in many ways [as in no birdies]). It is a major concern because at Muirfield it is easy to run up a score at any hole (Colsaerta 5 putt, even I don’t 5 putt [on good days]) and although Molinari had 16 pars in his second round he still shot a +3 74. However at a very tasty 60/1 it is well worth a punt on Francesco Molinari, especially a bet each way when you are still receiving ¼ odds for 4 places (maybe even 5 in some places). Don’t forget Molinari is only 4 shots off the lead and is only 10 places from first, still very much in this tournament. There you go three more guys to take a punt on for the weekend at the Open. The three men I did actually bet (Laird, Snedeker and Dufner) are all still active so I am probably not going to bet anyone else until maybe the final day when the picture is clearer, although if I were to bet I would go for Molinari each way. As a side note out with gambling I really think it looks like Tiger Woods is going to win this weekend. It feels like he hasn’t played well at all this week (so far) yet he is tied for second, that is what Tiger of old would have done and this looks like his return to form in the majors. However at 5/2 you really are receiving no value at all and who knows maybe this isn’t Tiger of old and instead is the new inconsistent Tiger. So what do you think? Are you enjoying the Open so far? Is there anyone who you think is worth a punt on that I haven’t mentioned? Let me know and leave a comment. Wayne Rooney the face of Manchester United and without a doubt the most important player in the team for many years, it seemed unthinkable that one day Wayne Rooney could leave Man Utd, but with every passing day it is beginning to look more likely that Rooney’s time at Utd is up. This is not the first time that Wayne Rooney has asked for a transfer request (2010/11 season) from Man Utd and at the time it was plastered over quickly and the hope was it would never rear its head again and all would be forgotten (on both sides). At the time of Rooney’s first transfer request he was indispensable to Utd, he won the PFA Players’ Player of the Year (deservedly so), scored 34 goals in 44 matches and look like he was fulfilling that great potential which he had shown at Everton many years before. It looked as if there was only one way for Rooney and Man Utd to go, and that was up. However the relationship soon (for reasons unbeknown to everyone) became sour and Rooney requested a transfer, only for it to become quickly resolved by the signing of a new bumper contract. At the time of Rooney’s new contract it would be fair to say that he was the third best player in the world (behind Messi and Ronaldo) and he hence received the third highest salary in the world, it was well deserved. However since the signing of this contract Wayne Rooney’s play and contribution to the team began to decrease drastically. Rooney’s previous three goal scoring (for the season) are 16, 34 and 16 not particularly good for a player who is paid as if he is the third best in the world. The drop in Rooney’s significance to Utd was further expanded with the signing of Robin Van Persie, who jumped to the front of the queue and displaced Rooney as the forward player which Utd rely upon. The inevitable outcome of the introduction of RVP saw Rooney drop to the bench or back into midfield which naturally he was not happy about. It was also clear that Ferguson was less than pleased with Rooney’s conduct during the season, increasing the tension (created in 2010 from the first transfer request) between the two. To say that this new transfer request was out of the blue would be a lie, it was clear throughout. Rooney was not pleased with his position at the club and felt that he should be the star and guaranteed first team football in his favoured position. They sound like reasonable requests from a player that was once considered the third best in the world, but the key word in the sentence is ‘was’. I don’t think if you asked anyone if Wayne Rooney is the third best player in the world they would say yes. To extend it further I don’t think that he is necessarily the third best player at Manchester United, with RVP, Michael Carrick and David De Gea (among others) all having much more pivotal seasons than Rooney last season. Rooney’s fall from prominence is however all of his own doing. He created the initial tension by asking for a transfer request, but that was buried. His inconsistencies on the pitch (has a tendency to score in bunches, with long dry spells) forced Fergie’s hand into signing RVP. He lives a lifestyle of a man who is a 20st plumber not a footballer (heavy drinker, eats to many fatty foods). Probably the biggest problem though is the fact that Rooney isn’t actually an athletic man, he could get away with this in his late teens and early 20’s but as you get older there is a higher requirement on a player to maintain his fitness (look at Ryan Giggs) and Rooney has ignored this part of the game. It is funny to think that one of Alex Ferguson’s last acts as Man Utd manager was to stick the boot into Wayne Rooney for putting in a second transfer request. It showed Fergie’s real frustration at the way Rooney had conducted himself in the three years prior and put Rooney in an incredibly awkward position. The fans could (and did) forgive him for making the mistake of putting in the first transfer request (he was naïve badly advised) but to do the same thing twice is unforgivable. Here is the big question on the dilemma of Wayne Rooney, what should Manchester United do? It is a tough question because when you look at Rooney, on paper, he is a vital part of the Utd team and Utd would be a worst team without him. He is 27 and therefore should be just about to hit his peak, why would Man Utd sell a player at his peak? They aren’t Arsenal the last time I checked. 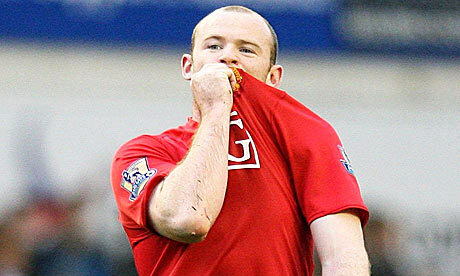 On the other hand Rooney has shown that he has no respect for the club or the fans through his behaviour. In theory Rooney should be hitting his peak, but it is hard to not think that he is actually past his best. Last season Rooney was a shell of his former self and look very much the squad player he had become. His fitness would be my biggest concern if I was Utd because (as I’m sure most people are aware of) it is easier to maintain fitness than to regain it. When Moyes joined Utd he commented that Rooney had shown up to pre-season training in great shape, that however is clearly not the case due to the fact that Rooney got sent home with a(n apparent) hamstring injury on the first day of the pre-season tours. Now this is not always the case but usually a muscle injury (such as a hamstring) is caused from a lack of fitness, from a lack of preparation or by pushing your body too far. Now which one do you think it is likely to be with Wayne Rooney? I personally doubt it is the latter of the three. David Moyes was walking into a difficult situation with Wayne Rooney when he started the job; he did the right thing initially by stating that Rooney was not for sale. So far so good until Moyes let slip that Utd needed Rooney in case something happened to RVP, essentially saying Rooney was a squad player, not so good. This has led Rooney to saying that he is ‘angered and confused’ by the comments and giving him a further excuse as to why he wants to leave Manchester. After these events Chelsea came in with an appetising bid which (apparently) was worth £10 million plus either David Luiz or Juan Mata. Wow, £10 million pounds plus either Juan Mata (Chelsea’s best player the last 2 seasons and also a player who plays in an area of weakness for Utd) or David Luiz (the controversial Brazilian, who although not a great centre back has shown glimpses of brilliance in central midfield, another area of weakness for Utd), how could they turn it down? Well they did and have once again insisted that Rooney is not for sale. The rejection of the bid from Chelsea is not surprising, because after all you never accept the first bid. You are also never meant to sell to your championship rivals, however it will be interesting to see what Utd’s resolve would be like if Chelsea offered £15 million plus Juan Mata or David Luiz. I imagine it would crumble and all of a sudden Wayne Rooney would be for sale. So should Manchester United sell Wayne Rooney? For me personally as a fan of Manchester United I think they should do their utmost to get rid of him. Not only do I think this is the sort of distraction that a new manager does not need after replacing such a legend but also if Rooney is not sold he will become a cancer in the dressing room, and having people around the club such as that is not the formula for success. I was surprised that Chelsea offered so much for Rooney on their first bid (although Mourinho claims that no players were offered) and also that Jose Mourinho made it clear that Rooney was the player he was desperate to sign this season. In a perfect world Utd would sell Wayne Rooney to Paris Saint Germain, but this isn’t a perfect world and PSG seem less than interested in the services of Rooney (who would probably be a squad player at PSG after the signing of Edinson Cavani). Chelsea currently look like the overwhelming favourites to sign Rooney and with an offer of £15 million plus Juan Mata I think Utd would be receiving an absolute steal. However hindsight will tell us if selling Rooney to Chelsea is good business or not (just ask Liverpool about Fernando Torres), and although I think that Rooney is past his best only time will tell whether he is or not, that is the risk that Man Utd have to undertake. So what do you think? Is Rooney still vital to Man Utd’s success? or is it good riddance? Either way let me know. I would also love to hear from Chelsea fans for their take on the Rooney saga. Author bm23reviewsPosted on July 17, 2013 July 17, 2013 Categories Football, Manchester United, Soccer, Sports, Wayne RooneyTags BM23Sportsreviews, Chelsea FC, Football, man utd, Manchester United FC, Rooney, Soccer, Sports, Wayne Rooney, Wayne Rooney transfer12 Comments on The Wayne Rooney Dilemma. 5 Tips for the Open Championship. The highlight of the golfing season is almost upon us. In a weeks time the Open Championship will be coming to its conclusion and one skillful (or lucky) man will be lifting the claret jug above his head in triumph. The question that is on everyone’s lips is which man of the 140 odd competitors is going to be completing their life ambition? Well here are my 5 picks for the 2013 Open Championship. First off I’d like to point out that the 5 picks are going to be based on a combination of their ability, form and bookie odds. All odds are from Bet 365 and are subject to change. The greatest golfer of his generation (by a mile) and possibly the greatest golfer ever always makes lists of people to watch in the Major Championships and there is a simple reason as to why this is, he is just that damn good. Woods hasn’t won a major since the 2008 US Open which seems quite incredible but he has had personal life problems as well as major injury concerns to do with his legs and knees. This year however Tiger has already won 4 times on the PGA tour (including the Cadillac Championship) and has a 4th in the Masters (which could have been better if it weren’t for an unfortunate drop) to his name. Tiger is the man on form this year, he is number 1 in the money list and all he is missing to solidify that is a major victory. There are some concerns about his game with some people questioning whether or not he still has the bottle to win a major when the pressure is on. It is an interesting point and people will keep asking the question and will become louder about asking the question the longer it takes Tiger to win one. Are the questions about Tiger losing his game unfair? Yes they are because he just came back from multiple major surgeries, but it is the criticisms about his mental state that are the most concerning. His driving was always erratic but his chipping and putting used to be very consistent, this however is no longer the case and that is the major concern. Muirfield is not a course where you can have erratic play, and chipping and putting as well as hitting fairways is a must. If Tiger is on it he is the deserving favourite for the tournament but if you get the Tiger who looks like he has lost his game again then it could be disastrous. However at 8/1 (when Tiger is usually around 3/1 or less) you are potentially getting a bargain. I swithered about not putting Luke Donald in this list because I don’t think for his form that 25/1 is good odds. However I decided to do it because I think Donald has the perfect game for Muirfield. This year Donald has done well within the majors with a 25th at the Masters (a course that doesn’t suit him) and 8th at the US Open (a course that does suit him), and it is that performance at the US Open on a course that requires similar course management skills to Muirfield that makes me think that Donald has got a legitimate chance. As I have already said 25/1 are not great odds for Donald based upon his form of the current golfing season but if he is to win the Open then Muirfield is his best chance of doing so. The 2012 FedEx cup winner is my personal pick for the winner of The Open this year. The current world no.7 (earlier in the year no.4) has had a solid year without being spectacular, winning the Pro-Am at Pebble Beach. So far this year Snedeker has achieved a 6th in the Masters and a 17th in the US Open and then add to that a 3rd at last years Open Championship and you have the formula of a man who is ready to take the next step and win his first major championship. There are concerns about Snedeker of course, he has never won a major before and at last years Open bottled it after an excellent first 2 rounds (still finishing 3rd). Snedeker looks like he is ready to take that next step but maybe he is not but if you want a solid and consistent golfer that is definitely worth an each way bet then Brandt Snedeker is the way to go. Another American for the list, Jason Dufner in many ways is very similar to Brandt Snedeker, he is consistent and is definitely worth an each way bet. Dufner has finished top 4 in 3 of the last 7 majors and has finished no lower than 31st in the last 7 either. Dufner made a charge on the last day of this years US Open only for a triple bogey to take him out of contention as he pushed to close the massive gap from the previous 3 rounds. He is Mr. consistent and is also able to play a low scoring style of golf which could make the difference between winning and losing. Dufner does have issues though, his attacking style of play can cost him as he pushes too hard and drops needless shots. He has also been in a winning position before at the 2011 PGA Championship but blew a 5 shot lead with 4 to go, leaving questions about his bottle and ability to finish off the job. Dufner has also only made the cut at one Open (2012) and only managed to finish 31st. To put this all in context I would say that I (before looking at the odds) would have though that Snedeker and Dufner would have been somewhere similar in the odds, with Snedeker slightly edging it. Snedeker however is 35/1 and Dufner is 66/1 and at 66/1 Dufner is an absolute bargain. I am not sure if Dufner has the bottle to win the Open (who knows maybe he does), what I am sure of is that he is an exciting and consistent golfer who could easily post a score early and fall into the Open Championship. If you are looking for an each way bet that has a outside chance of winning the crown then Jason Dufner is your man. The man I hope wins the Open (or Paul Lawrie, or anyone who is Scottish really), Martin Laird is the home country boy that everyone would like to see win. The 2013 Texas Open champion has been on solid if not spectacular form so far this year. Laird is very much an outside bet and the 100/1 odds show that the bookies are of similar thinking. However there are reasons to be hopeful; Laird this weekend finished 5th in the Scottish Open, a tournament that is played in a links course in Scotland much like this years Open Championship. He will have the crowds support as they search for the first Scottish born winner of the Open since 1999 and Paul Lawrie. Sadly there are also reasons to have major doubts about Laird’s chances of winning the Open. Laird has never finished in the top 10 of a major, with his best finish being 20th, not exactly great. His Open record however is even worse having only made the cut once (2012) and on that occasion finishing 72nd (approximately last of those who made the cut) is certainly nothing to write home about. However at 100/1 you would be betting Laird each way and hoping that the Open throws up an unusual winner as it has had a tendency to do in the past. There you go my 5 men to watch for this years Open Championship. In the Open at times you could almost throw a dart at a list of names and choose whoever it hits because the tournament has a tendency to throw up unusual major champions. Anyway leave a comment as to whom you think is in with a chance and lets hope for a great week of the greatest golfing competition in the world. Author bm23reviewsPosted on July 14, 2013 July 15, 2013 Categories Golf, Sports, The OpenTags BM23Sportsreviews, Brandt Snedeker, golf, Jason Dufner, Luke Donald, Martin Laird, Muirfield, Open Championship, The Open tips, Tiger Woods2 Comments on 5 Tips for the Open Championship.